I’m not sure where the phrase “fighting like cats and dogs” comes from, but in the majority of homes I am acquainted with, dogs and cats share living quarters quite amiably. 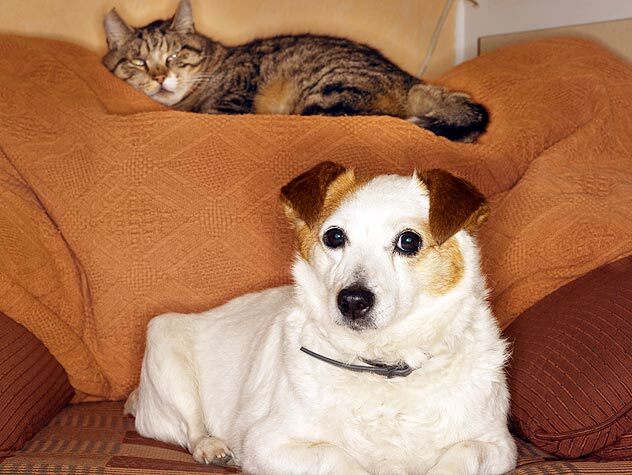 In fact, it is often more difficult to introduce a second female cat or a second male dog to a household than it is a member of the other species. There are exceptions, of course. Trying to socialize stray cats that border on feral presents a serious health risk to resident dogs, even friendly ones. Dogs with strong prey drives (the desire to catch, shake and kill) can put the family cat in considerable danger. To make a successful inter-species introduction in the average household, one needs little more than a dog who understands a few rudimentary commands and a sturdy baby gate. A canine who has learned to respond to basics such as “Leave it,” “Down” and “Come” can most likely be controlled around a new cat indoors. Outdoors is another matter completely. Many otherwise cat-friendly dogs view outdoor cats as prey to be chased down and dispatched – a strong case for keeping cats indoors and dogs on a leash! If the resident dog lacks basic manners or is the newcomer, a 4-foot house leash and buckle collar can give the caretaker control over the situation. When the dog rushes past in a raucous game of “catch the cat,” step on the end of the leash. 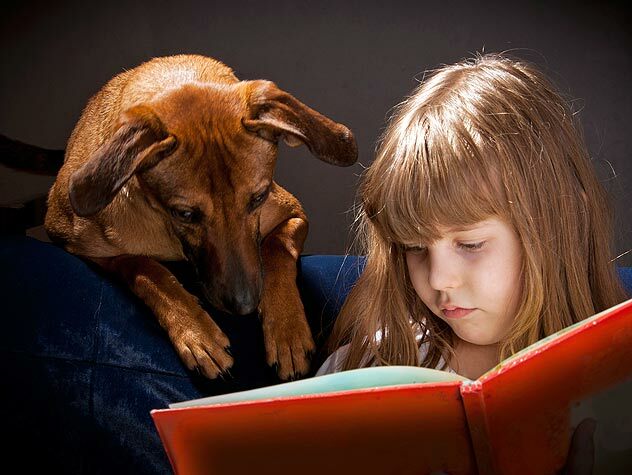 As the dog brakes and turns to look at you, utter your “Sit” or “Down” command. Don’t forget to praise the dog when he complies. If he shows the slightest interest in chasing the cat, growl “Leave it” at him and praise him once again when he looks away from the cat. The baby gate is crucial in providing a cat with dog-free territory. A nervous feline can hop the gate to find a safe haven, and a food bowl placed behind will be untouched by canine muzzles. Placing the litterbox behind the gate will insure that cat feces stay right where the cat leaves them. You may be thinking, “Ugh, how tasteless!”, but the dog’s response is more likely to be, “Yum! How tasty!” Anticipate this eventuality and prepare for it. In some situations, a gate will not be a viable solution. If this is the case in your home, creative thinking will play a crucial role in household management. Is your bathtub tall and your dog small? If so, then a litterbox at one end and a food dish at the other will adequately meet your cat’s needs. A covered litterbox prevents thievery in some cases, but beware! More than one dog has managed to get its head caught in the box and run hither and yon trying to break free. In one case I learned of, the cat was in the litterbox when the dog got the cover stuck on his head. Could a case of lapsed litterbox visits be far behind? If you own your home, there are more viable options open to you. Some folks cut cat-sized openings in linen closet doors or bathroom vanities as a good way to both keep Bowser out of the cat box and the box itself out of view. As for alternative feeding stations, countertops and wide window sills can provide out-of-reach dining spots for felines. Remember, cat food and dog food are not interchangeable. Much research has gone into developing specialized canine and feline diets. Keeping them out of each other’s bowls is crucial.